GVL / Emily Frye Austin Vignola of the Sigma Epsilon Fraternity on Tuesday Jan. 31, 2017. 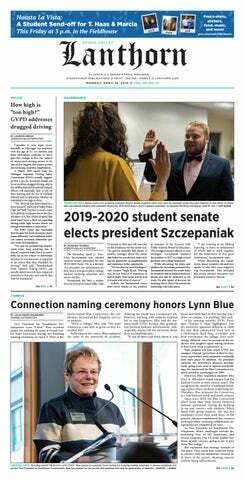 However, Grand Valley State University’s Sigma Phi Epsilon (SigEp) plans to celebrate the day by dropping carnations on students’ doorsteps and serenading them from a secret, or not-so-secret, admirer. The fraternity is gearing up for the annual “Carnation Gram” sale where students can buy a carnation for $2, along with a personalized message, to be delivered on their doorstep. For an additional $3 the brothers will give a personal serenade. For the past five years, SigEp has worked with St. Baldrick’s Foundation, which strives to fund research to cure childhood cancer. “A few years back, SigEp didn't really have a main philanthropy to fundraise. Then one brother took charge to find a charity with a great cause,” said Carlos Alfonso, former vice president of programming for SigEp. In 2016, the fraternity raised $14,870 in philanthropy toward St. Baldrick’s. This year, the fraternity is raising the goal to $15,000. Matthew Bryant, vice president of communications for SigEp, is confident the fraternity will reach and surpass last year’s amount. In March, the brothers will host their annual head shaving event, where last year, between 20 to 30 brothers participated. Students and faculty are invited to watch and donate to the cause. As Bid Day approaches, SigEp prepares to balance philanthropy with finding quality members to rush and join the brotherhood. Bid Day is set for Wednesday, Feb. 8, where the fraternities typically rally up around 30 to 40 bids total. However, Alfonso said this semester could bring in a higher number than the last. Honing in on a year-round schedule, SigEp focuses on bringing in new members throughout the year and not only during the Bid Day rush. The Carnation Gram sale will take place in the Kirkhof Center until Thursday, Feb. 9, and SigEp will table for requests from 4 p.m. to 6 p.m.
To learn more about Sigma Phi Epsilon, visit sigepgvsu.chapterspot.com/.